Meet Jack our newest sponsored K9! « J.G. Petrucci Company, Inc.
Meet Jack our newest sponsored K9! 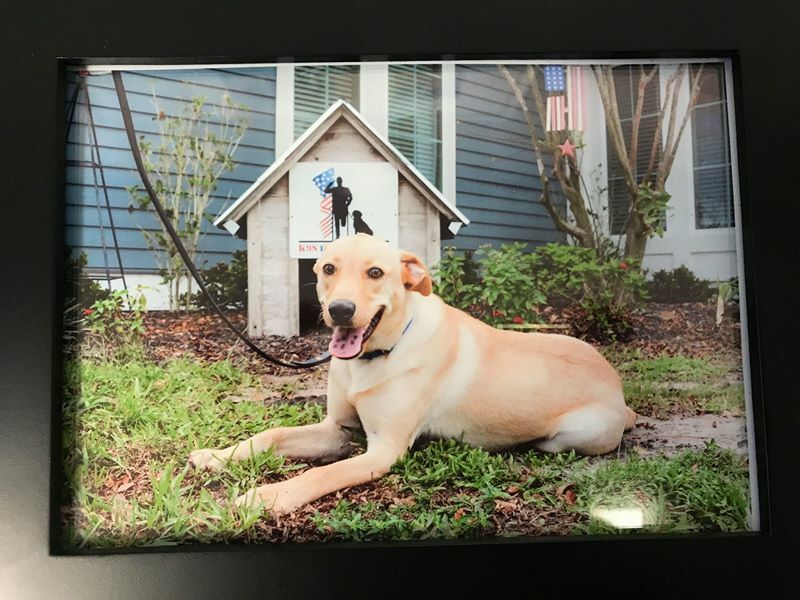 Thanks to the proceeds of our 2016 golf outing, Jack is currently completing his training to be a service dog for military veterans suffering from Post -traumatic Stress Disability or traumatic brain injury. This is the second dog sponsored by the Iron Hill Charity Golf Open and we would like to thank everyone that has made these partnerships possible. We look forward to hearing more about Jack’s progress and of course seeing more pictures! The organization’s goal is to empower our brave veterans to return to civilian life with dignity and independence. K9s For Warriors is a tax-exempt 501(C)(3) nonprofit organization. Thank you to all the fantastic sponsors who generously support the Iron Hill Charity Golf Open! Your support enables organizations like K9 For Warrior to continue providing much needed support to our brave military personnel. We look forward to seeing you all at the 15th Annual Iron Hill Charity Golf Open in 2018! !